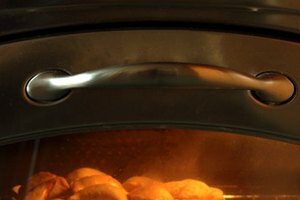 Since 1932, Rival brand appliances have redefined cooking---giving homeowners and chefs around the world new, more efficient and faster methods to cook meals. 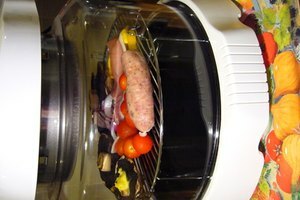 The Rival brand Automatic Steamer and Rice Cooker (Model 4450)---described as "automatic" because its timing cycle automatically begins the moment the unit is plugged into an electrical socket---continues this fine tradition, allowing anyone to quickly steam or cook a wide variety of foods. Position your steamer on a flat surface away from any cabinets. Check the food charts and/or recipes sections of your Rival Automatic Steamer and Rice Cooker owner's manual to determine the amount of water that you need to cook your food. Pour clean water into the water reservoir in the bottom of the unit until it covers the heating well and reaches the correct water level. If you don't have an owner's manual, follow the manual link in the Resources section. Place your food into the unit. 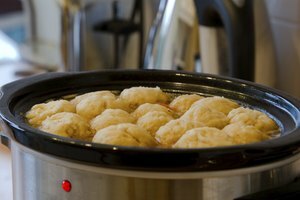 To steam raw food, place it in the center of the steamer basket away from the steam vents and position the basket over the water reservoir and heating well. To cook rice, place rice and liquid (water or sauces) into the rice bowl and position in the unit. Keep in mind that using single or small pieces increase cooking speed and using multiple or large pieces decrease cooking speed. Set the high-domed cover over the steamer basket. Plug your unit into an electrical socket to turn it on. Cook your food until the water evaporates entirely and the indicator light turns off. Store leftovers in the rice bowl. Clean the steamer basket or rice bowl by washing in mild detergent. Clean the heating well by wiping it with white vinegar. If your food isn't completely cooked when the indicator light turns off, carefully remove the basket or bowl, refill the inner water reservoir with cold water and continue cooking the food. Rival can't factor in water estimates the temperature or size of the food that you place in the basket or bowl or cooking in high altitude areas, so sometimes food might be undercooked. Also, adjust cooking time for your cooking preference, for example, done or well done.